Given the inherently subjective nature of creating such a “greatest” or “best” cameras list, this is exactly as it shoud be. Indeed, I am pleased rather than offended when my esteemed readers are so passionate about my favorite subject, even when they disagree with me. And I’m especially delighted when they present thoughtful alternatives, which they have. This follow-up article, titled “10 More of the Greatest Cameras of All Time,” is the result, and it’s sure to please those dozen or so irate Hasselblad fans who took me to task for failing to include the Swedish masterpiece last time. (Spoiler alert: We've included two Hassys this time around.) I sure hope you enjoy it, and if you don’t always agree, just let us know. The svelte, elegant, shirt-pocketable Dimage-X was the first digital camera of its kind and set the trend for super-compact digital cameras that once dominated the market and are still available today. Measuring only 20mm (about ¾-inch) in thickness, this two-megapixel marvel achieves its exquisite thinness by using a periscopic zoom lens. A right-angle prism reflects light passing through the front element of its 3X (37-111mm equivalent in 35mm) f/2.8-3.6 zoom lens down through the zooming elements to a 2-megapixel CCD. 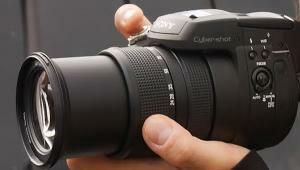 The lens is wholly contained within the camera body. Other features: 35-sec video sound clip capability, 256-segment evaluative metering with +/-2 EV exposure compensation, 2X digital zoom, audio attachment for audio recording capability, 1.6-inch TFT color screen, lithium-ion battery, accepts SD or MMC storage cards. 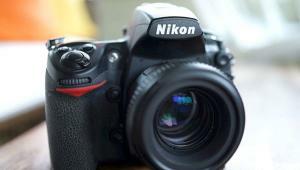 The Dimage-X was a hot seller despite its high price at the time ($399), and this helped make it a trendsetter. The signature features of this ingenious 2.1MP CCD compact were its cool swiveling (3x, 38-115mm-equivalent) zoom lens, rugged magnesium body (except for the plastic battery door), its minimum focusing distance of 2cm (under an inch! ), and the fact that it could capture images directly in TIFF format, unusual for its day. The downsides: The transfer time in this mode could be over 30 seconds, and the 8MB CF card that came with the camera could only contain a single full-res TIFF image! 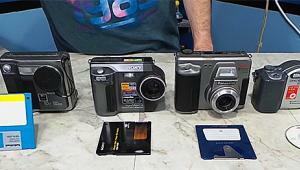 The good news: the Coolpix 950 would accept CF cards up to 64MB, included program, shutter- and aperture-priority autoexposure modes, employed a 256-zone Matrix metering system, allowed users to custom preset the white balance, and had a large RAM buffer for rapid shot-to-shot cycling. Other features: direct optical viewfinder plus 2-inch 130k-Dot LCD, external flash sync socket (no hot shoe), internal zoom for superior weather resistance, and a handy 28mm filter thread. As you might expect, the Coolpix 950 was very popular with the scientific/medical community and it was pressed into service as a microscope camera well into the first decade of the 2000s. 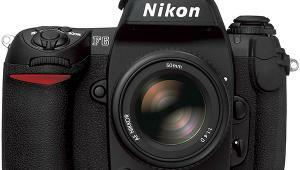 Widely hailed as the first prosumer DSLR, the S1 Pro was based on a Nikon N60 autofocus film camera body that was modified by Fuji to include its own proprietary image sensor and supporting electronics. Since the S1 Pro had a Nikon F mount it was compatible with most (but not all) manual and AF Nikkor lenses, a big plus for pros. 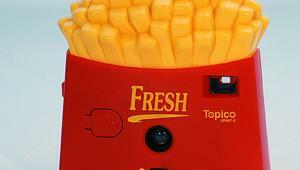 It featured AF, an electronically controlled focal plane shuter with speeds of 30-1/2000 sec plus B, multi-mode auto-exposure, and a built-in pop-up flash. 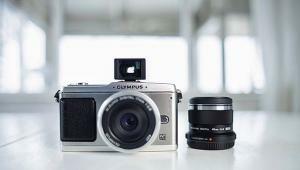 Its signature feature was Fuji’s unique 3.1MP, APS-C-format Super CCD Sensor that had its photodiodes oriented on a diagonal diamond-shaped formation (Fuji called it a honeycomb pattern.) This allowed use of a sophisticated interpolation system that output images with an apparent resolution of 6.13MP, and enabled sensitivity settings up to ISO 1600. The concept was controversial at the time, but its performance was impressive enough to establish Fuji as a contender in the rapidly expanding DSLR arena. 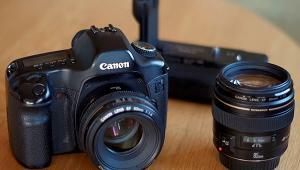 The first widely affordable medium-format digital camera, and also the first to offer video recording capability, the 645Z incorporates a filterless, anti-aliasing 51.4MP, 43.8 x 32.8mm CMOS sensor coupled to an advanced Prime III Image Processor. This impressive combo delivers a maximum full-res burst rate of 3 fps, sensitivity settings from ISO 100-204, 800, and Full HD 1080p 60i/30p/24p video capture. 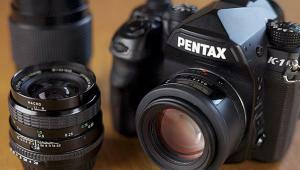 Raw 14-bit files can be recorded using Pentax’s proprietary PEF format or in Adobe DNG. Other features: a SAFOX II TTL 27-point AF system with 25 cross-type and 3 low-light sensors, an 86,000 pixel RGB light metering sensor, a 3.2-inch 1037k-Dot Tiltable Air-Gapless LCD monitor, and Penatax Flucard and Eye-Fi card compatability. It’s all built into a robust, weather-sealed, magnesium alloy body. The street price is still surprisingly “reasonable,” at least as far a digital medium format cameras go: $5,496.69 (new), body only. This classic 6x7cm film SLR is a fairly large, robust, all-mechanical, modular, waist-level-viewing camera with interchangeable film backs, breech-lock, bayonet-mount, leaf-shutter lenses, dual-track rack-and-pinion focusing mechanism, a revolving back, and a bellows. The success of this formula is proven by the fact that the RB67 was in production in minimally upgraded form for more than 30 years, even after Mamiya brought forth a worthy successor, the lighter, handier RZ67 (with electronically controlled interlens leaf shutters, a wider-diameter bayonet mount and other improvements) back in 1982. Over the years, the RB67 evolved into an extensive system including lenses from a 37mm f/4.5 fisheye to a 500mm f/8 tele, meterized and non-meter prisms, and winders. In spite of its heft, the RB is a versatile machine still prized for its close focusing, and equally at home in the field and the studio. The Spotmatic was the first though-the-lens- (TTL) metering 35mm SLR that took exposure readings off the finder screen, by means of two angled CdS cells placed on either side of the finder eyepiece. This brilliantly simple TTL-metering system was eventually adopted by almost every other SLR manufacturer in its day, and is still in use today albeit with upgraded sensors. The Pentax system, far less complicated and more flexible than Topcon’s clever mirror-mounted meter cell (introduced a year earlier in the 1963 Topcon RE Super), was refined to allow the sophisticated multi-pattern metering systems employed in AF SLRs. In other respects, the Spotmatic (misnamed because it actually had an averaging meter pattern!) was quite conservative, providing match-needle metering at working aperture and using the traditional 42mm threaded lens mount pioneered by Praktica. Nevertheless it was a fairly compact, very attractive design and was one of the hottest-selling, most influential SLRs of its era. It was eventually developed into the similar-looking, full-aperture-metering Pentax Spotmatic F of 1974. Features: Cloth focal-plane shutter with speeds from 1-1/1000 sec plus B, single-stroke wind lever, meter switch that doubles as an auto/manual diaphragm switch. 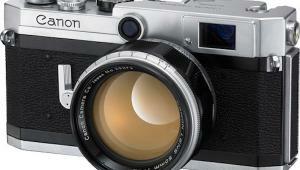 Still a cool choice for film fanatics you can now snag one used at an astoundingly low price. The first modern, modular 6x6cm- (2-1/4 square-) format SLR, the original 1600F, designed under the direction of Victor Hasselblad himself, has proven to be a remarkably enduring and influential design. 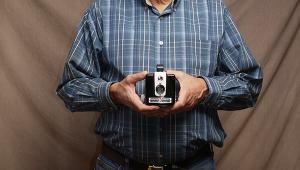 The entire line of V-series Haseslblad cameras (e.g. the 500 C/W) were based on the same elegant, modular concept of a boxy, cast alloy body with stainless steel inner chassis, interchangeable film magazines at the back, slide-in viewfinders on top, and (eventually) a wide range of Carl Zeiss bayonet-mount lenses at the front. The only major differences: The 1600F incorporated a corrugated stainless steel focal-plane shutter with speeds of 1-1/1600 sec plus B and its lenses were pre-set because the body had no internal auto-diaphragm actuation. Nevertheless, the exquisitely made Swedish camera created a sensation when it was announced in 1948, and it soon became the darling of professional photographers, both in field and studio, because of its compact, well-balanced design. Despite its sterling qualities and excellent imaging, the 1600F’s shutter was plagued by accuracy and reliability problems, which paved the way for the Hasselblad 1000F (with an improved metal focal-plane shutter with 1/1000 sec top speed) in 1952. 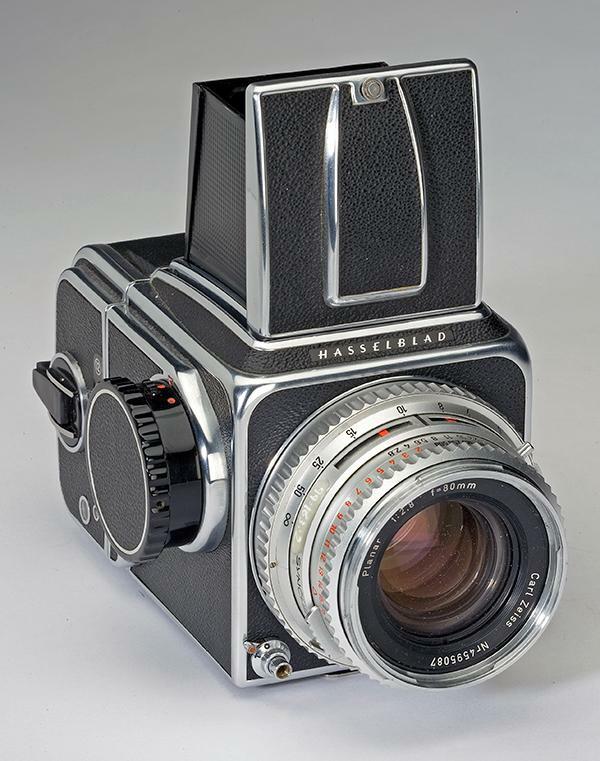 The Hasselblad 1600F had knob wind, a removable waist-level viewing hood with flip-up magnifier, an optional slide-in pentaprism finder, and bayonet-mount Kodak Ektar lenses including the standard 80mm f/2.8 55mm f/6.3 Wide Field Ektar, 135mm f/3.5 Ektar, and 254mm f/5.6 Ektar, all “Lumenized,” that is coated on all air-glass surfaces. The 500C (the C stands for Compur) was the first 6x6cm (2-1/4 square) Hasselblad SLR to incorporate a leaf shutter in each interchangeable lens in lieu of the in-body metal focal-plane shutters found in previous models (the 1600F of 1948-52 and the 1000F of 1952-57). The main reason for this departure was to provide full flash sync at all shutter speeds, an important consideration for studio photographers who comprised the bulk of Hasselblad users. As a result of this wise decision, the Hasselblad system became the mainstay of studio, portrait and wedding photographers all over the world. The 500C remained in production until 1971, was mildly upgraded as the Hasselblad 500C/M and 500C/W that added, among other improvements, user-interchangeable viewing screens. A masterpiece of modular design and mechanical precision like its predecessors, the 500C features interchangeable film backs and finders (the 500C/W is compatible with digital capture), and was supported with a full line of Carl Zeiss lenses ranging from the 30mm f/3.5 Distagon full-frame fisheye to the 500mm f/8 Tele-Apotessar. If any camera epitomizes American newspaper and war photography from the 1930s though the 1950s, it is the Speed Graphic, a rugged, folding press/view camera made in 4x5 and 3-1/4x4-1/4 versions by the Folmer & Schwing Division of Eastman Kodak Co. Though early Speed Graphics go back to 1915, the Anniversary model of 1940-47 is considered the classic example. 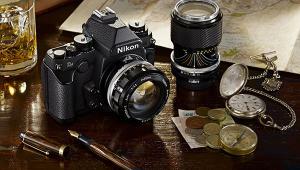 Its features include a cloth focal-plane rear shutter with separate slit width and spring tension controls, interchangeable lensboard with leaf-shutter lens in front, metal drop bed with two focusing knobs, rising/shifting lens standard, optical finder, and front–mounted frame-type sportsfinder. Most were fitted with separate-but-coupled Kalart or Meyer rangefinders. 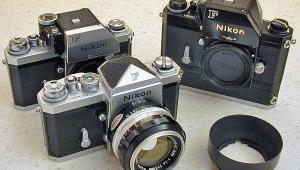 Common lenses include the 135mm f/4.7 Graflex Optar (by Wollensak) and the 127mm f/4.7 Ektar (by Kodak). Unrefined but indestructible, the Speed Graphic was used by such great photojournalists as Weegee and Joe Rosenthal to raise newspaper photojournalism and war photography to a high art. It was produced in modified form as the Super Graphic, until 1973. Note to user-collectors: It’s rare to find an Anniverary Speed Graphic without a few battle scars. I'm glad you included the Mamiya RB67 in the list. I still shoot mine, and it makes fabulous images. But, I feel that the "little RB" doesn't get enough recognition by the photography community. While Hasselblad makes great cameras, the Mamiya certainly holds its own. Many photographs were shot and published from the "little RB" over the years, and I hope to add to its legacy someday. May not have the pedigree of Nikon or Canon, but it had two thru-the-lens metering options, spot or averaging, and a shutter speed of 1/1000. Combined with the 55mm f/1.8 Mamiya/Sekor lens. Purchased mine in 1973 at a base exchange it worked very well for many years.